Sometimes buying the ideal motorcycle at a fair price can turn out to be a headache. Even the old experienced motorcycle enthusiasts are occasionally ripped off when buying a new motorcycle. Keep in mind that information is your biggest bargaining chip when you are out to shop for a new motorcycle. Of course, every salesperson will tell you they have the best deal in town, but if you are well informed, you will know precisely who you should opt for. In regards, there are various factors that every potential buyer should know before writing down that check. New motorcycle vs. used motorcycle– The option of buying a brand new or second-hand motorcycle largely depends on the buyer’s preference. Usually, used motorcycles are far cheaper than new motorcycles. On the other hand, new motorcycles come with a warranty hence the risk is minimized. Most people who are tight on the budget but want a specific motorcycle model far less than the MSRP (Manufacturer’s Suggested Retail Price) opt for a second-hand option. However, if you desire the latest technology as they come then new motorcycles straight from the manufacturer should be on your radar. Do your homework- Don’t trust the motorcycle dealer to tell you which motorcycle is fit for you. Get it in your mind that they don’t care about you, but they just want a commission. It is all about the Benjamins! Refuse to buy on impulse but do your research to know the exact motorcycle model you want even before you sniff the dealership doorstep. To the contrary of what most potential buyers think, most sales agents are not experts when it comes to the technical details. Hence, information should be your secret weapon when you are on a mission to buy a motorcycle. Fortunately, there are numerous motorcycle forums online where you can do research to find out know the pros and cons of different motorcycles. Do a comparison check and bargain- Most of the dealerships are competitors, and you would be surprised to find out the contrast in price and other discount offers. In regards, visit all the dealerships within your locality and compare the prices. If you have the time and resources, check out the price of motorcycles in other states. Do not forget to capitalize on the internet if you want to import or buy a new or used motorcycle. Interestingly, sometimes importing a motorcycle via the internet is cheaper than buying from a dealership. In most cases, an old model that has stayed in the dealership for too long depreciates in value. To avoid being misled, always ask for the OTD (Out of the Door) price which entails the tax, license, title and any other fees. Insurance policy- Most motorcycle enthusiasts make the mistake of buying a motorcycle without knowing the insurance quote. Eventually, maintenance turns out to be expensive in the long run prompting the biker to sell the motorcycle. The good news is that there are numerous insurance companies that offer the same services. Hence, it is smart to call different insurance companies to know which one will offer you a cheaper deal. Mechanical assessment- Since most used motorcycles do not come with a warranty, it is crucial to do a thorough mechanical check-up before the final payment. Ask for the service records to help you figure out which part needs an upgrade. Additionally, the service record is used to verify if the motorcycle was properly maintained. A test ride especially if you are buying a second-hand motorcycle from a stranger should never be overlooked. Of course, most sellers will not allow you to test-ride their motorcycle if you do not have a license or insurance cover. 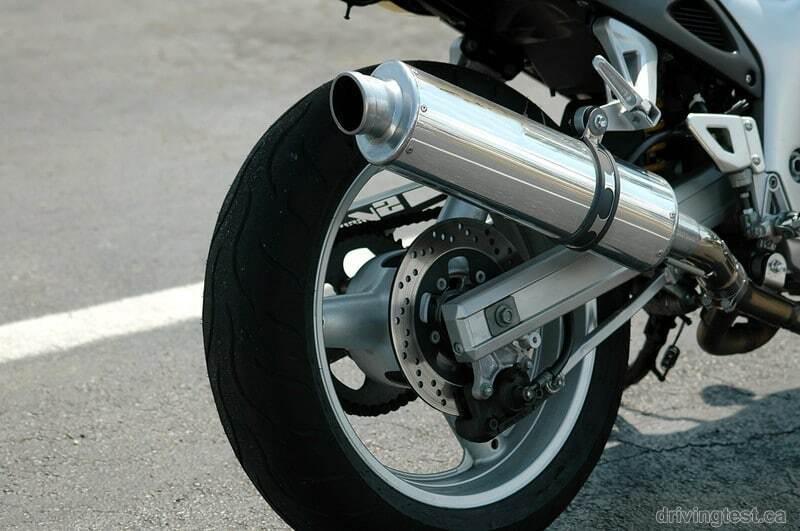 While test riding a motorcycle, utilize that opportunity to double-check the performance of the critical components such as the brakes, steering, suspension, chain, tires and throttle return. If you don’t know much about the mechanical parts of a bike, you can hire a trustworthy mechanic to do the job for you. Just don’t forget to check out the mileage. Verify the documents- Nobody wants to buy a motorcycle only for it to fail an inspection test because the motor plates don’t correspond with the frame. What is worse than that scenario is getting arrested on charges of handling a stolen motorcycle yet you are the victim. A registration document and license proof should be in order to avoid getting deceived. Matter fact, it is crucial to double-check those documents through secondary referees such as insurance companies and garages records. Be wary of deals that are too good to be true especially on websites such as Craiglist and Ebay. Sometimes listening to your instincts if you smell something fishy can help to avoid a scam. Whenever you are bargaining for a lower OTD price, don’t be shy to walk away if you do not come to a reasonable agreement with the salesperson. Furthermore, there are many dealerships to visit, and the sales agent is likely to give you a call on your offer the next day.